This place specializes in cuts that you’ve likely never heard of, and that’s a thing of beauty, because these lesser-known cuts are some of the beefiest and most flavorful steaks that you can get. Cuts like a feather steak, a point steak, or the onglet are all expertly grilled, tender, and served with a side of marrow butter. Perfect. This is another one of the Twin Cities old-school steak-eating revolutionaries, and often you can tell by the clientele. 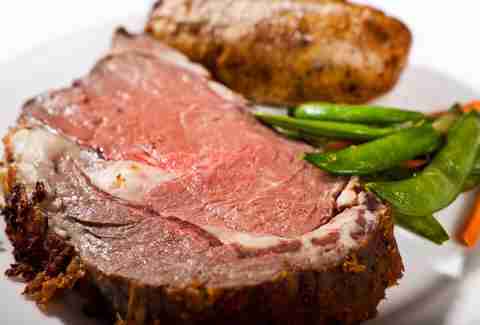 But grab a Manhattan and the 20oz king-cut prime rib and feel like you’re sitting in a scene from Mad Men. This St. Paul institution has been grilling meat over charcoal since 1968 and it's still running strong today, specializing in traditional steakhouse classics like New York strips, sirloins, and fillets, all served in an old-school, candle-lit, brick-walled space straight out of the old school. So I guess you'll be ordering your steaks (you're my boy) blue? This place is basically the king of steaks in the Twin Cities' meat market, and there’s a definite reason why it's littered with “Best Steakhouse” awards. While you’re never going to go too wrong with a massive bone-in rib eye, when you let it sit and age for 85 days, fuhgeddaboudit. 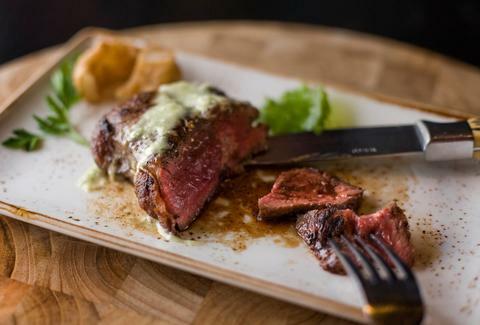 One of the newer beef houses in town, Burch offers a solid variety: you have a choice of traditionally raised, grass-fed, or even 100% certified Japanese premium wagyu beef, along with a selection of both classic and less-than-traditional butcher’s cuts. What’s that you say, a 34oz porterhouse for “two?" Yes please, we’ll have that -- but we’re not sharing. Yes, this place is largely known for its fine work with swine, but it can also throw down when it comes to bovine. Along with the exquisitely tender and flavorful flatiron, it also has a rotating butchers cut, and either will easily satisfy any meat withdrawals that you might currently be going through. Grass-fed beef is the name of the game at St. Paul’s premier meatery. 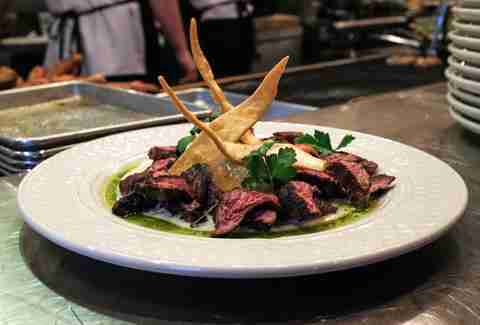 While the menu features one mighty fine NY strip and a quaint little petite filet, it also features specials that can include a variety of cuts, like this gorgeous-looking hanger steak. Nab yourself one of the best cocktails in the city along with one of the best steaks, and you, my friend, are good to go. Another one of Downtown’s finer meat destinations, this place has being doing steak a solid since 1946. 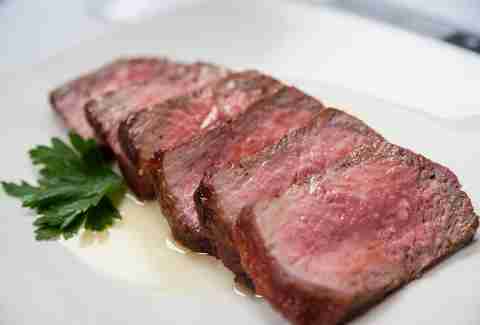 While its Silver Butter Knife steak is what it's best-known for, it also does a mean porterhouse. It also happens to be one of the few places in town where you can get a classic chateaubriand, which is a 24oz tenderloin carved table-side. Whatever you decide, just make sure that you don’t forget to order it with a side of martini for good measure. Keane Amdahl is a veteran Twin Cities food writer, and while he appreciates food in all of its many forms, he'll never be able to break up with delicious red meat. 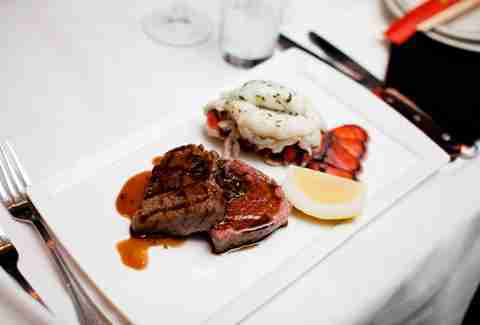 Follow him as he eats his way through the food chain on Twitter @FoodStoned.